Please note: All documentation linked to on this website is being superseded by documentation and instruction provided at the FBO. 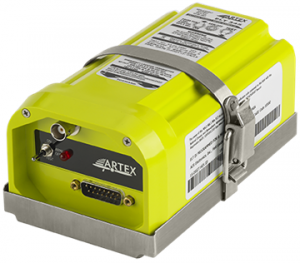 Do not remove any of the SD cards from the devices, these cards are critical for proper operation and to be serviced by authorized personnel only! 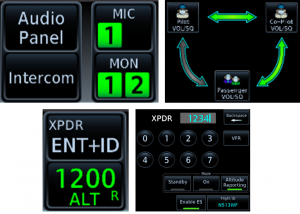 The Telligence Voice Command feature (the Push-To-Command button added to both yokes) may not work properly without investing time into training the unit to deal with individual voices and accents, and should therefore generally not be used. 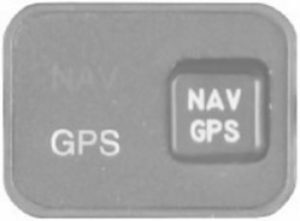 Please note that the CDI button to control the source of NAV #2 is on the Default Navigation page (and not on the Map as on the GTN 750). 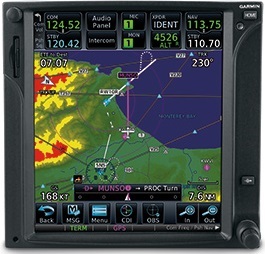 This autopilot system includes flight director-controlled pitch/roll/pitch-trim, an AP DISC / TRIM INT (Autopilot Disconnect / Trim Interrupt) button on the yoke, a Go Around button near the throttle, and an MET (Manual Electric Trim) switch on the yoke. 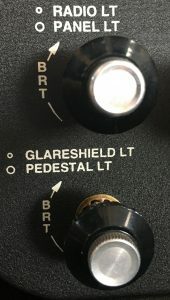 Even if you don’t plan on using the autopilot, you can – and are encouraged to – use the HDG / TRK and ALT SEL knobs to control both the heading and altitude bugs on the G5 units. 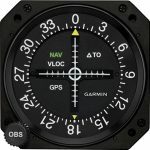 The LVL button is designed to have the autopilot quickly restore straight and level flight attitude in case you should get into an unusual attitude or a spatial disorientation situation. 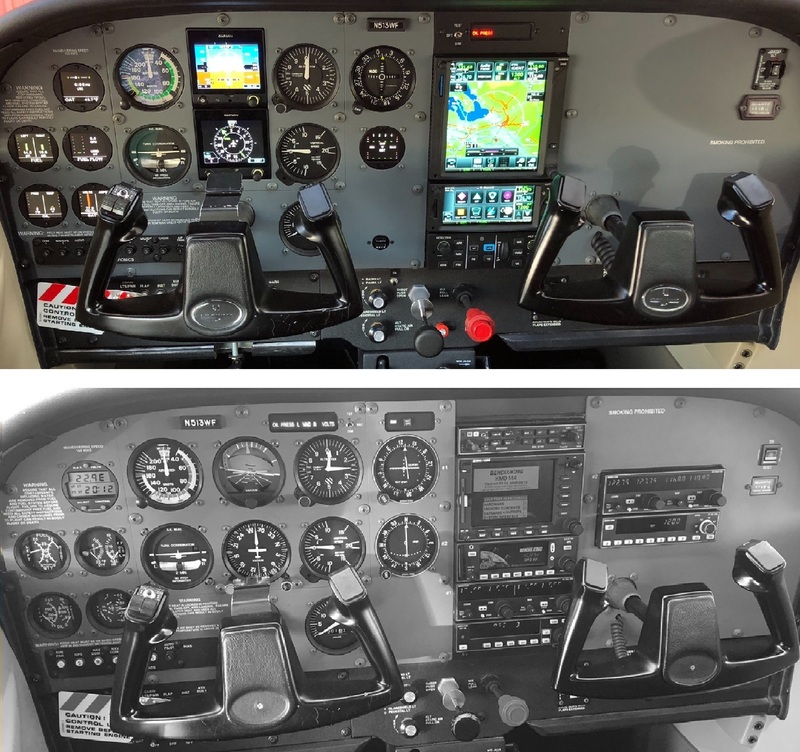 When straight and level flight has been restored, the pilot can continue to use the autopilot, or – if unfamiliar with the AP system – disengage it using the AP DISC button on the yoke or the AP button on the panel and continue to fly manually. 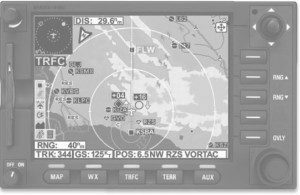 DO NOT USE THE AUTOPILOT WITHOUT THOROUGH PRIOR FAMILIARIZATION AND INSTRUCTION FROM A CFI. 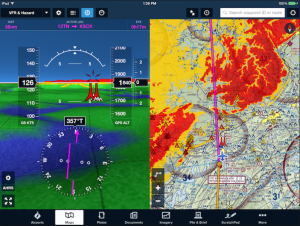 EVERY PILOT MUST KNOW ALL METHODS TO DISENGAGE THE AUTOPILOT, WHETHER THEY’RE PLANNING ON USING THE AP OR NOT. 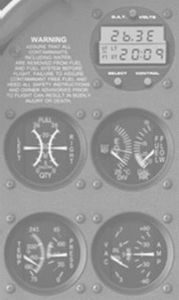 Please note that the six digital systems and engine instruments in this cockpit are not touchscreens. 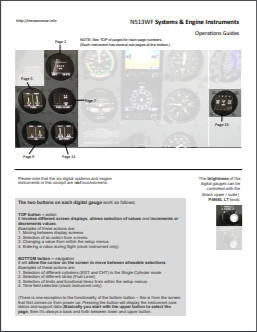 Note that the above described PANEL LT know also controls the light of the analog flight instruments – those dim completely out before you can dim the digital gauges to the lowest point. 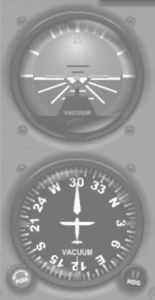 For night flights the recommended setting is to dim the upper one all the way down and use the lower GLARESHIELD LT dimmer to add enough light to see all cockpit controls (otherwise you won’t be able to see e.g. the flaps control in the dark). 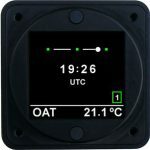 It invokes different screen displays, allows selection of values and increments or decrements values. 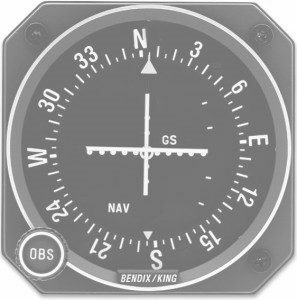 It will allow the cursor on the screen to move between allowable selections. Basically you start with the upper button to select the page, then it’s always a back and forth between lower and upper button. 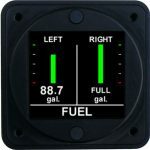 Along with this gauge we replaced the notoriously unreliable analog fuel level senders with CiES magnetic field digital fuel quantity senders. 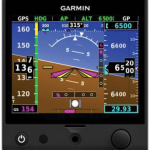 Please note that the fuel levels are not reported to the GTN 750 (there is no connection between these two devices); you need to manually update the latter at the beginning of your flight to get endurance warnings from the GTN unit. 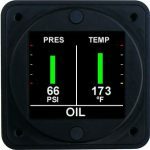 – Excessively high engine temperatures, either in the air or on the ground, will cause loss of power, excessive oil consumption, and possible permanent internal engine damage! 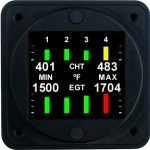 – If the CHT is too hot on one or even several cylinders, increase airspeed, enrich the mixture, or reduce power – any of these procedures will aid in reducing the engine temperature. 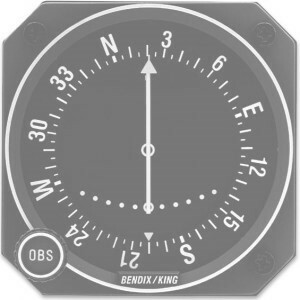 2 – Select Mixture ROP from the menu and follow the interactive instructions while leaning the engine. – Continuous operation LOP (Lean of Peak) is prohibited by the POH! – Failure to lean the engine as needed (mixture too rich) will lead to fouling of spark plugs, rough engine and decreased power; failure to re-enrich it as needed (mixture too lean) will lead to overheating of the engine. 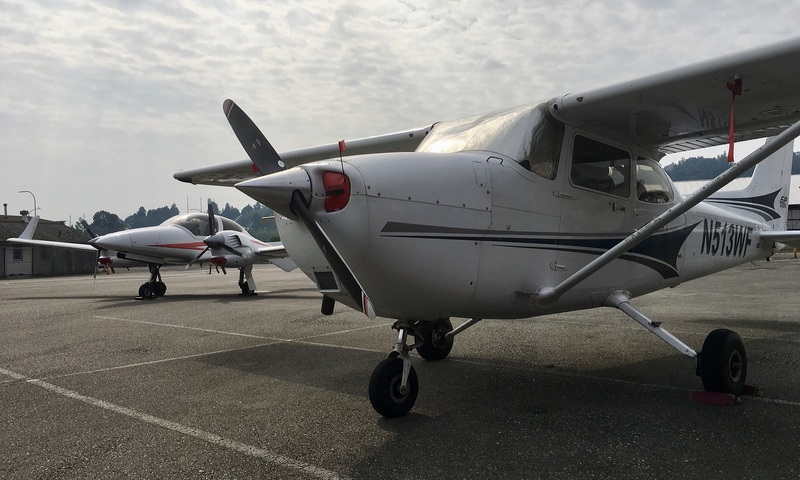 Proper cylinder heat control and mixture leaning is important for engine health and reliabilty – please consult both POH and your CFI for more information and best practices! 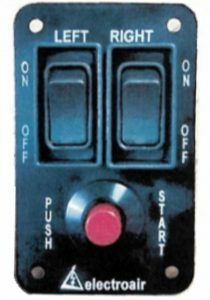 Lets you engage the the starter without a key after turning on the magneto switches, and turn the magnetos off as needed during runup and shutdown. 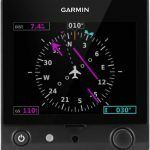 GA – A Takeoff/Go Around button near the throttle control that is part of the autopilot system lets you instantly set a roll-level / 7° pitch up FD mode that you can use to execute IFR missed approaches at the MAP with the AP still engaged (or turn off the AP and continue the approach to land). 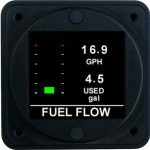 DO NOT USE THIS BUTTON AND THE AUTOPILOT WITHOUT THOROUGH PRIOR FAMILIARIZATION AND INSTRUCTION FROM A CFI! 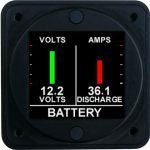 smartPower 250 Dual 2.7A backlit USB in the lower center area of the cockpit panel – enough power to charge two full-size iPads while they’re in use. 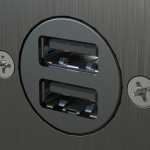 TIP: It’s more likely for off-brand charging cables and adapters to malfunction over time or cause radio communication interference; please only use original / certified / shielded cables – these cost a bit more but oftentimes also last longer, so it’s money well spent.